INVINCIBLE SPIRIT (IRE) (Bay 1997-Stud 2003). 7 wins-2 at 2-at 6f, Haydock Sprint Cup, Gr.1. Sire of 1486 rnrs, 1033 wnrs, 120 SW, inc. Moonlight Cloud (Deauville Prix Jacques Le Marois, Gr.1), Kingman, Lawman, Vale of York, Shalaa, Signs of Blessing, Hooray, Fleeting Spirit, National Defense, Charm Spirit, Yosei, Profitable, Rosdhu Queen, Mayson, Territories, Magna Grecia, Royal Meeting, Eqtidaar, Spirit Quartz, Speaking of Which, Muthmir, etc. ZEBEDEE (c by Invincible Spirit (Ire)) 6 wins. See below. Chatham House Rule (g by Authorized (Ire)) 4 wins from 3200m to 3700m to 2018 in Ireland and Sweden. Auntinet (f by Invincible Spirit (Ire)) Winner at 2 in GB. Pategonia (c by Oasis Dream) Winner at 7f in GB. Albaasha (c by Lemon Drop Kid) Winner at 1200m in Qatar. CITRON SPIRIT (g Invincible Spirit) 9 wins-3 at 2-from 1200m to 1800m, €59,300, HK$9,746,175, to 2018-19 in France, Germany and HK, Baden-Baden Zukunfts Rennen, Gr.3, HKJC Happy Valley Vase, Grand Seiko Excellent H., Yuen Long H., Hakka Cup, Kung Hei H., Audemars Piguet Millenary H., 2d HKJC January Cup, Gr.3, Lukfook Jewellery Cup, Jasper H., Old Bailey H., Maisons-Laffitte Prix Pharamond, 3d HKJC Shan Kwong H., Chevalier Cup, Maurice H., Albert H., Siu Sai Wan H., Sapphire H., Tourmaline H., Macau H.
Ali Spirit (c Invincible Spirit) 14 wins-2 at 2-from 1100m to 1600m, €167,000, to 2018, Deauville Prix Beachcomber Canonnier, Saint-Cloud Prix de Velizy, Prix de Bonne Nouvelle, Chantilly Prix du Bois d'Orival, 2d Deauville Prix de Beuzeville, Maisons-Laffitte Prix Memorandum, 3d Deauville Prix de Bolbec, Prix du Bergeret. Cozy Maria (f Cozzene) Winner. See above. Bugyeong Sidae. 3 wins-1 at 2-at 1000m, 1400m in KoreaClass 1 winner. ZGHORTA DANCE (f Le Havre) 3 wins-2 at 2-at 1800m, 1900m, €139,200, Chantilly Prix Vanteaux, Gr.3, Deauville Prix Princeline, Prix de la Placiere, 2d Rome Premio Lydia Tesio, Gr.1, 3d Chantilly Prix Finlande, L, 4th Deauville Prix de Psyche, Gr.3. BOLD JOSH (c Tentam) 16 wins-1 at 2, US$303,000, Laurel Constellation H., L, Monmouth Navesink H., L, Pimlico Jennings H., L, Bowie Fort McHenry H., L, 2d Bowie Chesapeake H., L, Resolution H., L, 3d Pimlico Fort McHenry H., L. Sire. NANCY'S CHAMPION (c Northern Jove) 9 wins, US$223,053, Woodbine Heresy S., L, Friar Rock S., L, Greenwood Autumn H., L, Bold Venture H., L, 2d Atlantic City Ventnor H., L, Golden Gate Gold Rush S., L, 3d Santa Anita La Puente S., L. Sire. CARR HEAVEN (g Carr de Naskra) 8 wins-2 at 2, Saratoga Empire S., L, 2d Finger Lakes George W Barker S., L, 3d Finger Lakes George W Barker H., L.
ORBISTON PARVA (f Include) 9 wins from 1m to 8½f, US$263,590, Parx Racing Sleigh Ride S., L. Producer. STRATOPLAN (g Game Plan) 3 wins at 6½f, 8½f, Hastings Park Burnaby H., L, Emerald Downs Seattle Slew H., L.
MS. CRUISEN' (f Candy Ride) 4 wins at 6f, US$245,924, Parx Racing Cornucopia S., L, 2d Parx Racing My Juliet S., L, 3d Monmouth Regret S., L, Delaware Park Dashing Beauty S., L.
Tusculum Dancer (g Green Dancer) 5 wins, 2d Philadelphia Park Neshaminy H., L.
It's Alleged (g Alleged) 2 wins, 2d Delaware Park Caesar Rodney S., L.
Five Ways (g Red Ransom) 6 wins to 1300m, A$216,090, AJC Seppelt Wines H., 'Tis the Season to Be Jolly H., 2d Hawkesbury Guineas, L, 3d STC Silver Slipper S., Gr.2. GOOD NATURE (c Way of Light) 10 wins from 1200m to 2400m, 1,521,531Rgt. in Malaysia, Selangor Gold Cup, L-twice, Perak Derby, L, 2d Penang TC Astro Wah Lai Toi Sprint Trophy, L, 3d Penang TC Yang di Pertua Negeri Gold Cup, L.
CAPTAIN VALID (c Valid Appeal) 5 wins-2 at 2, US$220,334, Hollywood Juvenile Championship S., Gr.2, 3d Belmont Futurity S., Gr.1. Sire. FINAL CONNECTION (g Alleged) 3 wins-1 at 2-at 1m, Bay Meadows Half Moon Bay S., L.
Turkstand (f Turkoman) Winner at 2, 2d Santa Anita Oak Leaf S., Gr.2. Producer. DINAROBIN (g Dynaformer) 2 wins at 2150m, 2400m, Nantes Derby de l'Ouest, L, 3d Deauville Prix Michel Houyvet, L.
FORT BIRD (c Soberbo) 8 wins-1 at 2-from 1300m to 2400m in Brazil, Taruma G.P. Parana, Gr.1, Cidade Jardim G.P. Piratininga, Gr.2, 2d Cidade Jardim G.P. Piratininga, Gr.2, Taruma G.P. Mario de Araujo Marquez, 3d Taruma G.P. Parana, Gr.1, Classico Associacao Brasileira dos Criadores, Gr.3, Classico Bento Munhoz da Rocha Neto, L, 4th Cidade Jardim G.P. 14 de Marco, Gr.2, Cristal G.P. Protetora do Turfe, Gr.3. IMPERIAL BIRD (c Burooj) 3 wins-1 at 2-at 1600m, 2000m in Brazil, Taruma G.P. Derby Paranaense, Gr.3, Classico Luiz Gurgel do Amaral Valente, L, 3d Taruma Classico Alo Ticoulat Guimaraes, L.
Race Record: 7 Starts 6-0-0 £162,817. Annual Timeform Rating: 113 (at 2). INVINCIBLE SPIRIT Joint Champion Older Male Sprinter in Ireland in 2001. 7 wins-2 at 2-at 6f, £240,026, 80,000fr., Haydock Sprint Cup, Gr.1, York Duke of York S., Gr.3, Curragh MacDonagh Boland S., Gr.3, Newbury Hackwood S., L, Ripon Champion 2YO Trophy, L, Goodwood M-Real Conditions S., Selsey 2YO S., 2d Deauville Prix de Meautry, Gr.3, 4th Newmarket Leicestershire S., Gr.3, Newbury Dubai Duty Free Cup, L, Newmarket Abernant S., L. He entered stud in Ireland in 2003. He entered stud in Aust. in 2003. Leading GB Sire of 2YOs in 2012. Third on GB/Ire. Sire List in 2012. 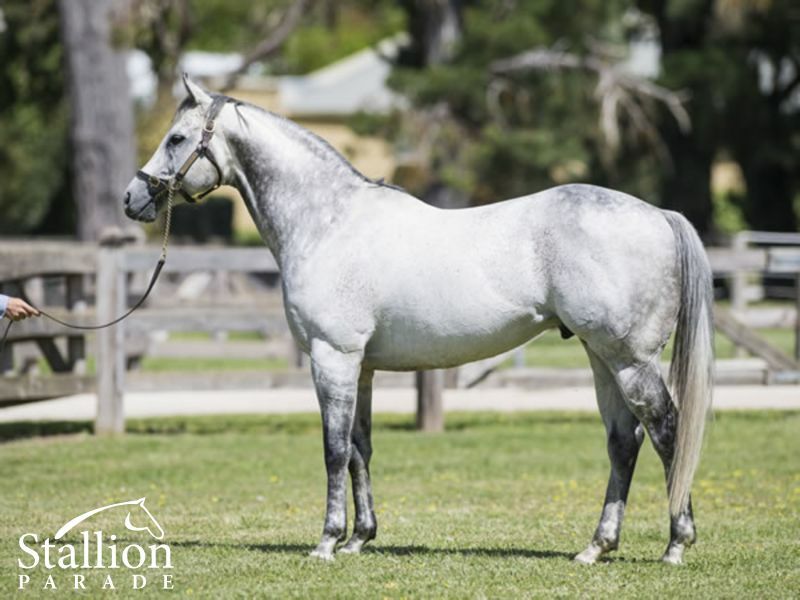 Sire of 1486 progeny to race, 1033 winners (69.0%), earnings of over $105 million, 120 stakes winners, 98 stakes placegetters, inc.
MOONLIGHT CLOUD (08f, Spectrum, Kings Lake). Leading Older Mare on the 2013 WTR (Mile). Equal Leading 3YO Filly on 2011 WTR (Sprint). Champion Sprinter in Europe in 2012. Champion Older Female Sprinter & Miler in Europe in 2013. Champion 3YO Sprinter in France in 2011. Champion Older Mare Sprint & Mile in France in 2012 & 2013.12 wins-2 at 2-from 1300m to 1600m, £114,225, €1,516,325, HK$400,000, Deauville Prix Jacques Le Marois, Gr.1, Longchamp Prix de la Foret, Gr.1, Deauville Prix Maurice de Gheest, Gr.1-3 times, Prix du Moulin de Longchamp, Gr.1, Longchamp Prix de la Porte Maillot, Gr.3-twice, Prix du Palais-Royal, Gr.3, Maisons-Laffitte Prix Imprudence, Gr.3, Longchamp Prix des Melezes, Deauville Prix de la Motte Sassy, 2d Royal Ascot Diamond Jubilee S., Gr.1, Longchamp Prix du Palais-Royal, Gr.3, 4th Deauville Prix Jacques Le Marois, Gr.1, Longchamp Prix Jean-Luc Lagardere, Gr.1. KINGMAN (11c, Zamindar, Dancing Brave). Horse of the Year & Champion 3YO Colt in Europe in 2014. Leading 3YO Male on the 2014 WTR (Mile). Champion 3YO Miler in France, GB & Ireland in 2014.7 wins-2 at 2-from 1400m to 1600m, £540,134, €516,840, Deauville Prix Jacques Le Marois, Gr.1, Royal Ascot St James's Palace S., Gr.1, Goodwood Sussex S., Gr.1, Irish Two Thousand Guineas, Gr.1, Newbury Greenham S., Gr.3, Sandown Solario S., Gr.3, Newmarket Bet365.com 2YO S., 2d The Two Thousand Guineas, Gr.1. CHARM SPIRIT (11c, Montjeu, Machiavellian). 6 wins-1 at 2-from 1400m to 1600m, £644,449, €627,495, Chantilly Prix Jean Prat, Gr.1, Ascot Queen Elizabeth II S., Gr.1, Prix du Moulin de Longchamp, Gr.1, Chantilly Prix Paul de Moussac, Gr.3, Maisons-Laffitte Prix Djebel, Gr.3, Longchamp Prix des Melezes, 2d Deauville Prix de Crevecoeur, 3d Longchamp Prix Jean-Luc Lagardere, Gr.1. YOSEI (07f, Fuji Kiseki, Rainbow Quest). 4 wins-2 at 2-from 1100m to 1600m, A$1,271,075, AJC Sires' Produce S., Gr.1, Qld Tatt's RC Tattersall's Tiara, Gr.1, MRC Thousand Guineas, Gr.1, 2d SAJC Breeders' S., Gr.3, 3d ATC Doncaster H., Gr.1, MRC Toorak H., Gr.1, SAJC Robert Sangster Classic, Gr.1, VRC Sires' Produce S., Gr.2, 4th VRC Emirates S., Gr.1, ATC Coolmore Classic, Gr.1, STC Reisling S., Gr.2, MRC HDF McNeil S., Gr.3. SHALAA (13c, War Chant, Diesis). Champion 2YO Colt in France & GB in 2015.6 wins-5 at 2-at 1200m, £305,091, €199,990, Deauville Prix Morny, Gr.1, Newmarket Middle Park S., Gr.1, Goodwood Richmond S., Gr.2, Newmarket July S., Gr.2, Ascot Bengough S., Gr.3, Newmarket Winner App 2YO S.
LAWMAN (04c, Gulch, Shirley Heights). 4 wins-1 at 2-from 1600m to 2100m, €1,149,960, Chantilly Prix du Jockey Club, Gr.1, Prix Jean Prat, Gr.1, Prix de Guiche, Gr.3, Saint-Cloud Prix Matchless, 2d Longchamp Prix Machado, 4th Longchamp Prix de Fontainebleau, Gr.3. SIGNS OF BLESSING (11g, Seeking the Gold, Nashwan). Champion 3YO Sprinter in Germany in 2014. Champion Older Male Sprinter in France in 2016 & 2017.11 wins-2 at 2-to 1300m to 2018, £96,720, €534,950, HK$610,500, Deauville Prix Maurice de Gheest, Gr.1, Prix de Saint-Georges, Gr.3, Prix de Meautry, Gr.3, Baden-Baden Goldene Peitsche, Gr.3, Chantilly Prix Sigy, L, Longchamp Criterium de Vitesse, L, Fontainebleau Prix Cor de Chasse, L, Chantilly Prix Anabaa, 2d Longchamp Prix de Saint-Georges, Gr.3, Chantilly Prix des Usages, 3d Royal Ascot Diamond Jubilee S., Gr.1, Deauville Prix de Ris-Orangis, Gr.3, 4th Ascot British Champions Sprint S., Gr.1. PROFITABLE (12c, Indian Ridge, Shelter Half). 5 wins-1 at 2-at 5f, £569,380, €60,005, Royal Ascot King's Stand S., Gr.1, Haydock Temple S., Gr.2, Newmarket Palace House S., Gr.3, York Westow S., L, 2d Royal Ascot King's Stand S., Gr.1, Goodwood King George S., Gr.2, Deauville Prix de Saint-Georges, Gr.3, Sandown Scurry S., L, Ascot Wondering Wine Company Nursery H., Haydock Scoop6 Nursery H., Bryn Nursery H., 3d Chantilly Prix de l'Abbaye de Longchamp, Gr.1, 4th Newmarket July Cup, Gr.1. HOORAY (08f, Machiavellian, The Minstrel). Champion 2YO Filly in Europe in 2010.5 wins-4 at 2-at 6f, 7f, £209,110, Newmarket Cheveley Park S., Gr.1, York Lowther S., Gr.2, Kempton Sirenia S., Gr.3, Epsom Surrey S., L, 3d Newmarket Cherry Hinton S., Gr.2, 4th Goodwood Supreme S., Gr.3. FLEETING SPIRIT (05f, Distant Relative, Corvaro). Champion Female Sprinter in Europe, France & GB in 2009..5 wins-3 at 2-at 5f, 6f, £604,178, €64,300, US$60,945, Newmarket July Cup, Gr.1, Haydock Temple S., Gr.2, Doncaster Flying Childers S., Gr.2, Goodwood Molecomb S., Gr.3, 2d Royal Ascot King's Stand S., Gr.1, Haydock Sprint Cup, Gr.1, Newmarket Cheveley Park S., Gr.1, Prix de l'Abbaye de Longchamp, Gr.1, York Lowther S., Gr.2, 3d Royal Ascot King's Stand S., Gr.1, 4th Royal Ascot Golden Jubilee S., Gr.1, Breeders' Cup Turf Sprint S., L.
MAYSON (08c, Pivotal, Efisio). 5 wins-2 at 2-to 6f, £349,939, €81,210, Newmarket July Cup, Gr.1, Palace House S., Gr.3, Abernant S., L, 2d Prix de l'Abbaye de Longchamp, Gr.1, Doncaster Wentworth S., L, Ripon Champion 2YO Trophy, L, York Sportingbet.com 2YO S., 3d Ascot Rous S., L, Doncaster Cammidge Trophy, L, Ripon Great St Wilfrid S., 4th Goodwood Molecomb S., Gr.3, Dundalk Mercury S., L.
ROSDHU QUEEN (10f, Green Tune, The Minstrel). 4 wins at 2, £189,986, Newmarket Cheveley Park S., Gr.1, York Lowther S., Gr.2, Newbury St Hugh's S., L, 4th Newbury Fred Darling S., Gr.3. TERRITORIES (12c, Machiavellian, Warning). 3 wins-1 at 2-at 1200m, 1600m, £107,231, €569,340, Chantilly Prix Jean Prat, Gr.1, Longchamp Prix de Fontainebleau, Gr.3, Chantilly Prix de Bertinval, 2d Deauville Prix Jacques Le Marois, Gr.1, Longchamp Prix Jean-Luc Lagardere, Gr.1, The Two Thousand Guineas, Gr.1, 3d Deauville Prix du Palais-Royal, Gr.3, Longchamp Prix La Rochette, Gr.3, Maisons-Laffitte Prix Messidor, Gr.3, Prix Carrefour Montesson. VALE OF YORK (07c, Halling, Sadler's Wells). 3 wins at 2, £38,562, €71,280, US$1,080,000, 27,600Dhs, Breeders' Cup Juvenile, Gr.1, Goodwood Stardom S., L, York Racinguk.com 2YO S., 2d Milan Gran Criterium, Gr.1, 3d Ascot Royal Lodge S., Gr.2. MAGNA GRECIA (16c, Galileo, Lear Fan). 2 wins at 2 in 2018, £143,900, €10,780, Doncaster Futurity Trophy, Gr.1, 2d Newmarket Autumn S., Gr.3. ROYAL MEETING (16c, Lecture, Al Mufti). 2 wins at 2 in 2018, £4,787, €142,850, Chantilly Criterium International, Gr.1. EQTIDAAR (15c, Acclamation, Law Society). 2 wins-1 at 2-at 6f to 2018, £310,149, Royal Ascot Commonwealth Cup, Gr.1, 2d Ascot Pavilion S., Gr.3, 4th Kempton Sirenia S., Gr.3, Newbury Carnarvon S., L.
NATIONAL DEFENSE (14c, Kingmambo, Caerleon). Champion 2YO Colt in France in 2016.2 wins at 2, €240,490, Chantilly Prix Jean-Luc Lagardere, Gr.1, Deauville Prix Beachcomber Le Victoria, 2d Maisons-Laffitte Prix Djebel, Gr.3, 3d Chantilly Prix des Chenes, Gr.3. SPIRIT QUARTZ (08g, Rainbow Quest, El Gran Senor). Champion 3YO Sprinter in Italy in 2011.9 wins to 1200m, £141,700, €308,713, 28,443Dhs, Chantilly Prix du Gros-Chene, Gr.2, Rome Premio Tudini, Gr.3, Cork Midsummer Sprint S., L, Tipperary Abergwaun S., L, Rome Premio Time Star, 2d York Nunthorpe S., Gr.1, Goodwood King George S., Gr.2, Haydock Achilles S., L, Naas Woodlands S., L, Lingfield Hever Sprint S., L, Milan Premio Bersaglio, L, Maisons-Laffitte Prix de Bonneval, L, 3d Chantilly Prix du Gros-Chene, Gr.2, Haydock Temple S., Gr.2, Sandown Sprint S., Gr.3, Naples Gran Premio Citta di Napoli, L, Chantilly Prix de Lassy, Milan Premio Romeo Miracoli, 4th Longchamp Prix de l'Abbaye de Longchamp, Gr.1, Newbury World Trophy, Gr.3, Newmarket Palace House S., Gr.3-twice, Sandown Sprint S., Gr.3, Deauville Prix du Cercle, L, Curragh Sole Power S., L, Navan Woodlands S., L, Milan Premio Cancelli, L.
MUTHMIR (10g, Danehill, Night Shift). 8 wins to 1200m to 2018, £435,999, €208,205, 110,100Dhs, Chantilly Prix du Gros-Chene, Gr.2-twice, Goodwood King George S., Gr.2, Haydock Achilles S., L, Doncaster Portland H., York Skybet Dash, 2d Sandown Sprint S., Gr.3, Newcastle Betfred Half Time In-Play Boosts H., 3d Royal Ascot King's Stand S., Gr.1, Prix de l'Abbaye de Longchamp, Gr.1, Goodwood King George S., Gr.2, Longchamp Prix du Petit Couvert, Gr.3, Newbury World Trophy, Gr.3, York City Walls S., L-twice, Lingfield Hever Sprint S., L, Beverley Bullet Sprint S., L, 4th Royal Ascot King's Stand S., Gr.1, Longchamp Prix de Saint-Georges, Gr.3, Sandown Sprint S., Gr.3. ALLIED POWERS (05g, High Line, Mr. Prospector). 8 wins from 2000m to 2450m, £124,561, €201,907, US$385, Grand Prix de Chantilly, Gr.2, Longchamp Prix d'Hedouville, Gr.3-twice, Hamilton Braveheart H., L, Newbury Powersolve Electronics H., Ayr McEwan's Ales H., 2d York S., Gr.2, Leopardstown Kilternan S., Gr.3, Newbury John Porter S., Gr.3, Chester Ormonde S., Gr.3, Doncaster Totesuper7 H., 3d Grand Prix de Chantilly, Gr.2, Galway Oyster S., L, Chester Stand Cup, L, Haydock Paul Sculthorpe Testimonial Raceday H., 4th Newbury John Porter S., Gr.3. SPIRIT SONG (07f, Kingston Rule, Military Plume). 8 wins from 1400m to 1800m, A$729,501, MVRC Sunline S., Gr.2-twice, VRC Matron S., Gr.3, MRC BMW Melbourne H., SAJC Allan Scott Park Morphettville H., MRC Greater Dandenong Weekly H., MVRC Orbit Logistics H., 2d MRC Toorak H., Gr.1, MVRC WH Stocks S., Gr.2, VRC Schweppervescence Trophy, Gr.3, MRC Programmed Property Services H., Premier Signs H., Bendigo JC Catanach's Gold Bracelet, MRC TMB Printing H., 3d MVRC Tesio S., Gr.3, SAJC Morphettville Guineas, L.
OUR JONATHAN (07g, Celtic Swing, Polish Precedent). 7 wins-4 at 2-to 1400m, £179,712, €139,222, Criterium de Maisons-Laffitte, Gr.2, Ascot Cornwallis S., Gr.3, Dundalk Tipperary S., L, Haydock Network Healthcare S., Chester Crabbie's Alcoholic Ginger Beer H., Ayr Gold Cup, 2d Salisbury Cathedral S., L, Sandown Totesport H., Ripon Great St Wilfrid S., 3d Doncaster Cammidge Trophy, L, Chester City Plate S., L, York Sportingbet.com S., Doncaster Williamhill.com H.
ZEBEDEE (08c, Cozzene, Verbatim). 6 wins at 2, £162,817, Doncaster Flying Childers S., Gr.2, Goodwood Molecomb S., Gr.3, Sandown Dragon S., L, Newmarket Tattersalls Millions 2YO S., Ascot Aldermore 2YO S.
SPEAKING OF WHICH (09c, Mr. Prospector, Alysheba). Champion 3YO Colt in Ireland in 2012 (Int. ).5 wins from 8½f to 1¼m, €48,930, US$271,920, Monmouth S., Gr.2, Curragh Gallinule S., Gr.3, Calder Tropical Turf H., Gr.3, 2d Santa Anita Twilight Derby, Gr.2, Curragh Irish Stallion Farms S., 3d Leopardstown Kilternan S., Gr.3, Fair Grounds Colonel ER Bradley H., Gr.3, 4th Belmont Fort Marcy S., Gr.3. CONQUEST (04g, Machiavellian, Nijinsky). 5 wins-2 at 2-at 5f, 6f, £224,023, €4,550, York Gimcrack S., Gr.2, Ascot Princess Royal S., Gr.3, Lingfield Hever Sprint S., L, Goodwood Stewards' Cup, 2d Royal Ascot Windsor Castle S., L, Newmarket Stan James 2YO S., 3d Doncaster Scarbrough S., L.
IMPASSABLE (12f, Green Tune, St Jovite). 4 wins at 1400m, 1600m, €241,800, Chantilly Prix de Sandringham, Gr.2, Longchamp Prix Daniel Wildenstein, Gr.2, Chantilly Prix de la Broutillerie, Prix de la Haute Taille, 2d Chantilly Prix Bertrand du Breuil, Gr.3, Saint-Cloud Prix le Haar. CAPTAIN MARVELOUS (04c, Dolphin Street, Shirley Heights). 4 wins-3 at 2-to 1400m, £64,888, €110,401, Criterium de Maisons-Laffitte, Gr.2, Leicestershire S., L, Newbury Uplands Racing Nursery H., Chester Grant Thornton UK 2YO S., 2d Chester Betterbetcorbett 2YO S., 3d Newmarket Middle Park S., Gr.1, 2YO S., 4th Leopardstown Ballycorus S., Gr.3. ANCIENT SPIRIT - ADVANCE YULONG (AUST.) (15c, Galileo, Monsun). 3 wins at 1400m, 1600m in 2018, €174,768, A$7,000, Baden-Baden Oettingen Rennen, Gr.2, Cologne Mehl Mülhens Rennen, Gr.2, 3d Milan Premio Vittorio di Capua, Gr.2. CABLE BAY (11c, Diktat, Dancing Brave). 3 wins-1 at 2-at 6f, 7f, £320,677, €5,625, Newmarket Challenge S., Gr.2, Haydock John of Gaunt S., Gr.3, 2d Newmarket Dewhurst S., Gr.1, Challenge S., Gr.2, Goodwood Richmond S., Gr.2, Newmarket Somerville Tattersall S., Gr.3, 3d Ascot Summer Mile, Gr.2, Doncaster Champagne S., Gr.2, Curragh Gladness S., Gr.3, 4th York Gimcrack S., Gr.2, Newbury Hungerford S., Gr.2, Goodwood Celebration Mile, Gr.2, Ascot Bengough S., Gr.3. MADAME TROP VITE (06f, Waajib, Pentathlon). 3 wins at 2, Doncaster Flying Childers S., Gr.2, Newbury St Hugh's S., L, 2d Chester Moneysupermarket.com 2YO S.
AJAYA (13c, Hennessy, Nashwan). 2 wins at 2, £143,896, €28,600, York Gimcrack S., Gr.2, Cakemark 2YO S., 2d Maisons-Laffitte Prix Robert Papin, Gr.2, 4th Newmarket Middle Park S., Gr.1. CAMPFIRE GLOW (05f, Persian Bold, Be My Guest). 2 wins at 2, €127,377, Curragh Debutante S., Gr.2, 4th Leopardstown Ballyogan S., Gr.3. GRENDISAR (10c, Mark of Esteem, Barathea). 10 wins at 1¼m, 1½m, £418,648, Lingfield Winter Derby, Gr.3, Winter Derby Trial, L-twice, Quebec S., L, Kempton Floodlit S., L, Lingfield All-Weather Middle Distance Championship S., 2d Lingfield Winter Derby, Gr.3, Churchill S., L, Quebec S., L, Kempton Wild Flower S., L, Lingfield All-Weather Championships Apprentice H., Kempton Grand National Rosebery H., Lingfield Coral Mobile Just Three Clicks to Bet H., 3d Lingfield Quebec S., L, All-Weather Middle Distance Championships S., 4th Lingfield Winter Derby Trial, L, Churchill S., L.
LOCAL TIME (12f, Medicean, Caerleon). 7 wins-3 at 2-from 1400m to 1900m, Newmarket Oh So Sharp S., Gr.3, Meydan UAE Oaks, Gr.3, Istanbul Trophy, Gr.3, Meydan UAE One Thousand Guineas, L, UAE One Thousand Guineas Trial. RUSSIAN SOUL (08g, Indian Ridge, Dancing Brave). 11 wins from 1000m to 1600m, £15,374, €234,537, 990,900Dhs, Curragh Renaissance S., Gr.3, Meydan Al Shindagha Sprint, Gr.3, Tipperary Abergwaun S., L, 2d Curragh Sapphire S., Gr.3, Fairyhouse Belgrave S., L-twice, Meydan Dubawi S., L, DUBAL Excellence Trophy H., Al Naboodah Construction Group Trophy H., Millennium Millionaire H., 3d Curragh Flying Five S., Gr.3-twice, Cork Midsummer Sprint S., L, Tipperary Abergwaun S., L, Dundalk Mercury S., L, Meydan Sprint S., L, Curragh Ryder Cup Venue H., 4th Curragh Greenlands S., Gr.3, Belgrave S., L, Waterford Testimonial S., L.
INVINCIBLE ASH (05f, Brief Truce, Caerleon). Champion Older Female Sprinter in Ireland in 2011 & 2012.9 wins to 1250m, €287,429, 1,019,161Dhs, Curragh Sapphire S., Gr.3, Dundalk Mercury S., L, Tipperary Abergwaun S., L, Curragh National Lottery Sweepstakes H., Leopardstown Clonkeen S., Meydan Sprint S., 2d Dundalk Mercury S., L, Curragh Tattersalls Ireland Sale 2YO S., Meydan Dubal Trophy H., Attijari Points Rewards Program H., 3d Naas Sprint S., L, Tipperary Abergwaun S., L, Meydan Emirates Airline Trophy S., Energia Elegante H., 4th Meydan Al Quoz Sprint S., Gr.2, Curragh Phoenix Sprint S., Gr.3. INNS OF COURT (14c, Seeking the Gold, Green Tune). 5 wins-1 at 2-at 1200m, 1400m to 2018, €451,400, Deauville Prix de la Porte Maillot, Gr.3, Maisons-Laffitte Prix de Ris-Orangis, Gr.3, Prix du Palais-Royal, Gr.3, Chantilly Prix de la Croix Marquet, Saint-Cloud Prix Mogador, 2d Deauville Prix Jacques le Marois, Gr.1, Longchamp Prix de la Foret, Gr.1, Prix du Palais-Royal, Gr.3, Prix de la Porte Maillot, Gr.3, 3d Longchamp Prix du Pin, Gr.3, 4th Maisons-Laffitte Prix de Seine-et-Oise, Gr.3. INVINCIBLE ARMY (15c, Diktat, Cadeaux Genereux). 4 wins-2 at 2-at 6f to 2019, £202,587, Ascot Pavilion S., Gr.3, Kempton Sirenia S., Gr.3, Doncaster Cammidge Trophy S., L, Newmarket Southend Airport 2YO S., 2d York Gimcrack S., Gr.2, Haydock Sandy Lane S., Gr.2, Newbury Mill Reef S., Gr.2, Goodwood Molecomb S., Gr.3, 4th Newmarket July S., Gr.2. BEYOND DESIRE (07f, Mujtahid, Kings Lake). 4 wins-1 at 2-to 1200m, £105,711, €53,124, Longchamp Prix de Saint-Georges, Gr.3, Haydock Cecil Frail S., L, Bath Lansdown S., L, Goodwood Markel International 2YO S., 2d York Lowther S., Gr.2, Leopardstown Ballyogan S., Gr.3, Sandown Sprint S., Gr.3, 4th Goodwood King George S., Gr.2, Leopardstown Ballyogan S., Gr.3, Newbury World Trophy, Gr.3, Ayr Firth of Clyde S., Gr.3. I AM INVINCIBLE (04c, Canny Lad, Zoffany). 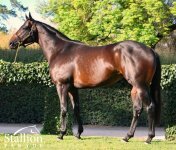 5 wins-1 at 2-at 1000m, 1100m, A$270,050, SAJC DC McKay S., Gr.3, MRC Sir John Monash S., L, The Age H., AJC Hoxton Park H., Octagonal 2YO H., 2d SAJC Goodwood H., Gr.1, 3d AJC Kindergarten S., Gr.3. MUSIC BOX (14f, King's Best, Val de l'Orne). 4 wins to 7f, £34,026, €110,763, Doncaster Sceptre S., Gr.3, Galway Corrib S., L, 2d Leopardstown Desmond S., Gr.3, Naas Yeomanstown Stud S., L, Killarney Cairn Rouge S., L, Leopardstown Summer Bundle S., 3d Tipperary Fairy Bridge S., Gr.3. LOCKWOOD (09g, Machiavellian, Darshaan). 4 wins to 1400m, Goodwood Supreme S., Gr.3, Maisons-Laffitte Prix de Ris-Orangis, Gr.3, Longchamp Prix des Arts et Metiers, 2d Doncaster Park S., Gr.2, Saint-Cloud Prix Ramsin, 3d Haydock Spring Trophy, L, Windsor Midsummer S., L, Saint-Cloud Prix Antivari, 4th York Ganton S., L.
KARGALI (05c, Last Tycoon, Top Ville). 4 wins from 7f to 8½f, €103,671, Curragh Gladness S., Gr.3, Leopardstown Heritage S., L, 2d Curragh Clere Concepts S., 3d Curragh Gladness S., Gr.3, 4th Curragh Silver S., L.
TOMYRIS (14f, Seeking the Gold, Royal Academy). 3 wins from 7f to 1m to 2018, £103,232, Lingfield Chartwell S., Gr.3, York Michael Seely Memorial S., L, Newmarket Rossdales Fillies' S., 3d Goodwood Oak Tree S., Gr.3, Doncaster Sceptre S., Gr.3, 4th Newbury Hungerford S., Gr.2. TAWHID (10g, Gulch, Be My Guest). 3 wins-2 at 2-at 7f, 8½f, £100,333, €13,000, 8,808Dhs, Newbury Horris Hill S., Gr.3, Dubai Duty Free Cup, L, 2d Goodwood Thoroughbred S., Gr.3, Redcar Guisborough S., L, 3d Newbury Hungerford S., Gr.2, Cologne Mehl-Mulhens Rennen, Gr.2, Royal Ascot Jersey S., Gr.3, 4th Newmarket Challenge S., Gr.2, Haydock Superior Mile, Gr.3, Newmarket Craven S., Gr.3. SWISS SPIRIT (09c, Indian Ridge, Petong). 3 wins-1 at 2-to 6f, £141,550, €4,000, Newbury World Trophy, Gr.3, Carnarvon S., L, York Reg Griffin Appreciation 2YO S., 2d Goodwood King George S., Gr.2, Haydock Temple S., Gr.2, Newmarket Tattersalls Millions 3YO Sprint, British Stallion Studs 2YO S., 3d York Rockingham S., L.
TICKLED PINK (09f, Indian Ridge, Secreto). 3 wins to 6f, Sandown Sprint S., Gr.3, Newmarket Abernant S., Gr.3, 2d Newbury Highclere Thoroughbred Racing 2YO Fillies' S.
CHARMING WOMAN (07f, Kendor, Sicyos). Champion Older Female Sprinter in Italy in 2011.2 wins-1 at 2-at 1200m, €138,196, Rome Premio Tudini, Gr.3, Premio Ubaldo Pandolfi, L, 2d Milan Premio Omenoni, Gr.3, Rome Premio Carlo Chiesa, Gr.3, Milan Premio Mantova, 3d Rome Premio Tudini, Gr.3, Milan Premio Como. CITRON SPIRIT (12g, Lemon Drop Kid, Cozzene). 9 wins-3 at 2-from 1200m to 1800m to 2018-19, €59,300, HK$9,746,175, Baden-Baden Zukunfts Rennen, Gr.3, HKJC Happy Valley Vase, Grand Seiko Excellent H., Yuen Long H., Hakka Cup, Kung Hei H., Audemars Piguet Millenary H., 2d HKJC January Cup, Gr.3, Lukfook Jewellery Cup, Jasper H., Old Bailey H., Maisons-Laffitte Prix Pharamond, 3d HKJC Shan Kwong H., Chevalier Cup, Maurice H., Albert H., Siu Sai Wan H., Sapphire H., Tourmaline H., Macau H.
GLAMOROUS SPIRIT (06f, Air Express, Baillamont). 7 wins-2 at 2-at 5f, Curragh Sapphire S., Gr.3, Ascot McGee Group 2YO S., 2d Lingfield Hever Sprint S., L, 3d Newbury Berry Bros & Rudd 2YO S., Kempton Digibet H., 4th Ayr Land o' Burns S., L.
SOPHIE'S SPIRIT (06f, Pompeii Court, Dedicated Rullah). 5 wins from 1200m to 1600m, A$297,040, VRC Herald Sun S., Gr.3, BRC Sunshine Kebabs H., MVRC Legends After the Last H., 2d BRC Glenlogan Park S., Gr.3, MRC Summoned S., L, Chadstone The Fashion Capital P., MVRC Printhouse Graphics H., 3d VRC Thoroughbred Riding Club H., MRC Ahern's at Highways After the Last H., BRC QARDSS H.
PINCHECK (14g, Arch, Kris). 4 wins at 1m to 2018, €118,168, US$1,047, Leopardstown Desmond S., Gr.3, Mortons Coaches S., 2d Leopardstown Amethyst S., Gr.3, Cork Platinum S., L, 3d Leopardstown Boomerang S., Gr.2, 4th Cork Navigation S., L.
KARAR (12g, Inchinor, With Approval). 4 wins at 1400m, 1600m, €301,675, US$20,000, Chantilly Prix du Pin, Gr.3, Deauville Prix du Pont de l'Arche, Saint-Cloud Prix Pas de Deux, Maisons-Laffitte Prix Mincio, 2d Chantilly Prix de la Foret, Gr.1, Longchamp Prix de Fontainebleau, Gr.3, Craon Prix du Point du Jour, L, Saint-Cloud Prix Silnet, 3d Chantilly Prix de la Foret, Gr.1, Prix du Pin, Gr.3, Maisons-Laffitte Prix du Palais-Royal, Gr.3, 4th Longchamp Poule d'Essai des Poulains, Gr.1, Prix du Palais-Royal, Gr.3, Prix de la Porte Maillot, Gr.3. ANAM ALLTA (08f, Sadler's Wells, Priolo). 3 wins-1 at 2-to 7½f, €94,324, Tipperary Concorde S., Gr.3, Curragh Mad About You 2YO S., 2d Tipperary Fairy Bridge S., L, 3d Curragh Barrettstown Cannonball Run Fillies H.
AGE OF CHIVALRY (05f, Night Shift, Alleged). 3 wins-2 at 2-at 5f, 6f, €102,977, Leopardstown Ballyogan S., Gr.3, Curragh Carmel Keatley Memorial 2YO S., TP Waters Chrysler Jeep 2YO S., 2d Leopardstown Brownstown S., Gr.3, 4th Curragh Sweet Mimosa S., L.
BIG BROTHERS PRIDE (16f, Green Tune, Sillery). 2 wins-1 at 2-at 1100m, 1200m to 2019, Chantilly Prix Sigy, Gr.3, Prix des Terroirs de France. HIGH CELEBRITY (12f, Storm Cat, Seattle Slew). 2 wins at 2, Chantilly Prix d'Arenberg, Gr.3, Prix de Valgenceuse, 2d Newmarket Duchess of Cambridge S., Gr.2, 3d Newmarket Cheveley Park S., Gr.1. ALEA IACTA (12f, Galileo, Selkirk). 2 wins at 2, Saint-Cloud Prix Thomas Bryon, Gr.3, Longchamp Prix de la Cascade. RAWAAQ (10f, Silver Hawk, Diesis). 2 wins-1 at 2-at 6f, 7f, Leopardstown One Thousand Guineas Trial, Gr.3, Curragh Dubai Duty Free Voyager 2YO S., 2d Curragh Park S., Gr.3, 3d Curragh Silken Glider S., L.
His sire sons include I Am Invincible (45), Lawman (29), Zebedee (7), Kingman (5), Mayson (5), Vale of York, Charm Spirit, Born to Sea, Captain Marvelous, etc. Stood his first Southern Hemisphere season at stud in 2015, serving 100 mares, ZEBEDEE is by the same sire as Australian Champion first season sire I AM INVINCIBLE! ZEBEDEE concluded 2014 having amassed 32 individual two-year-old winners in his first crop. His best performer to date is IVAWOOD, a Cartier Two-Year-Old Colt of the Year finalist, and triple Group One placegetter and Group Two winner. ZEBEDEE added a further 29 two-year-old winners from his second crop in 2015, a year when Group One sprinter Magical Memory rose to prominence in Europe. The most precocious son of Invincible Spirit ever... as a racehorse ZEBEDEE was a six time two-year-old winner who retired with only one loss in his seven start career. His stud future was assured with Richard Hannon training him to take out the Flying Childers (G2) and Molecomb Stakes (G3) double at Doncaster and Goodwood respectively. "Not since WITHOUT FEAR have we stood a stallion capable of producing over 30 individual 2YO winners in a season… that is a most impressive first season performance. Australia lacks locally bred Classic horses and we have responded with the likes of DALAKHANI and GOOD JOURNEY, however you can’t turn your back on explosive 2YO speed and precocity. ZEBEDEE delivers that in spades." "We knew back in March that ZEBEDEE was going to be our first winner on the turf this season – he was that precocious... he has never stopped improving and has only been beaten once in seven races. Not many two-year-olds win six, but he is so laid-back both at home and when he goes to the races." "His race record says it all, speed to burn and when we bought him as a yearling he had everything you would want in a racehorse good looks, balanced, good mover & a great temperament. It has been great to see him pass it on to his stock with the likes of ‘Ivawood’ etc’." Yearling Sale Results: At a clearance rate of 89% and an average of 8 times service fee, his yearlings have sold up to €330,000, £280,000, £220,000, £210,000 and €200,000. Purchased by the leading buyers in Europe (Shadwell, BBA Ireland, Anthony Stroud, Peter Doyle, Amanda Skiffington, Richard Hannon etc). “A precocious speed stallion with proven results and exciting upside complimented our current roster perfectly. We will never give up on finding another Without Fear,” Hayes commented.